This entry was posted in Uncategorized and tagged #ReadingIsFun, Book Week, Reading by smotlrcblog. Bookmark the permalink. What a great week it was. 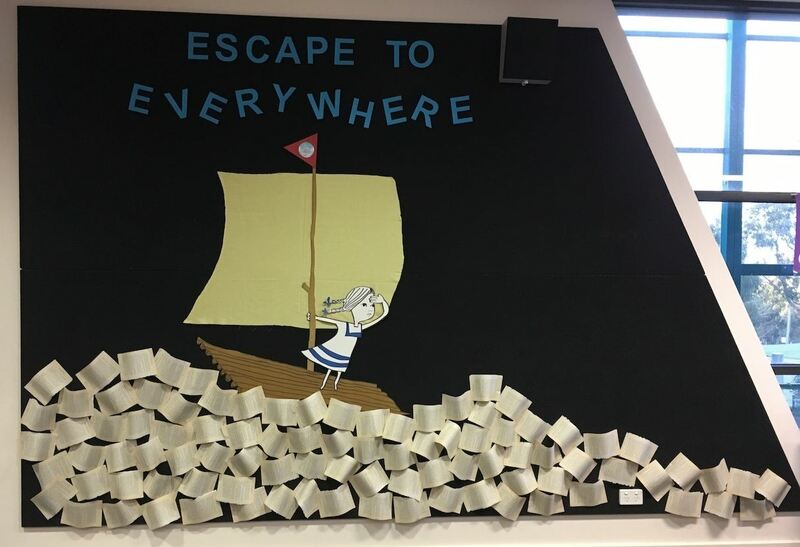 Such a wonderful celebration of books that fill our lives with adventures. Thank you too for lending your organisational skills to ensure our Book Week events went smoothly. Thanks Miss Y for yet another unforgettable Book Week. My highlight was Story Night. I loved seeing all the kids looking warm and cosy in the PJs and dressing gowns happily coming back to school to hear stories after dark at school. We are so lucky to have you! What a wonderful gift you have given to the children of SMOT Miss Y. If you like to read you will never be bored as books can take you anywhere and everywhere! Congratulations on a wonderful Book Weeek. Our Story Night was my favourite too…it was a magical evening of escaping into stories! Thank you for coming along and helping. Books are a lot cheaper than plane tickets and can take you to places both real and imaginary…opening a book is like stepping ino a portal!